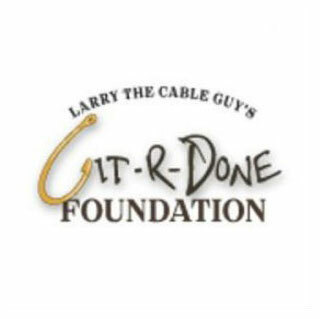 The Git-R-Done Foundation is a 501(c)(3) non-profit organization created by Larry the Cable Guy and his wife, Cara, as a focal point for the family’s philanthropy in 2009. The foundation’s mission is to provide assistance to organizations that have experienced hardships beyond their control. The Git-R-Done Foundation has made numerous donations, including donations to the Arnold Palmer Foundation for the treatment and cure of hip dysplasia and the Children’s Advocacy Center. FGI made a charitable contribution of $500 to the Jason Peter All Fore The Git-R-Done Foundation 2013 Golf Tournament supporting The Madonna Rehabilitation Hospital. FGI sponsored a hole for the 2012 Jason Peter’s All Fore Golf Tournament held in September supporting The Child Advocacy Center in Lincoln, NE. FGI sponsored a hole for the 2011 Jason Peter’s All Fore Golf Tournament held in October 2011 supporting The Madonna Rehabilitation Hospital. FGI was a sponsor in the Jason Peter all fore! Junior Achievement Golf Event held in October, 2010.